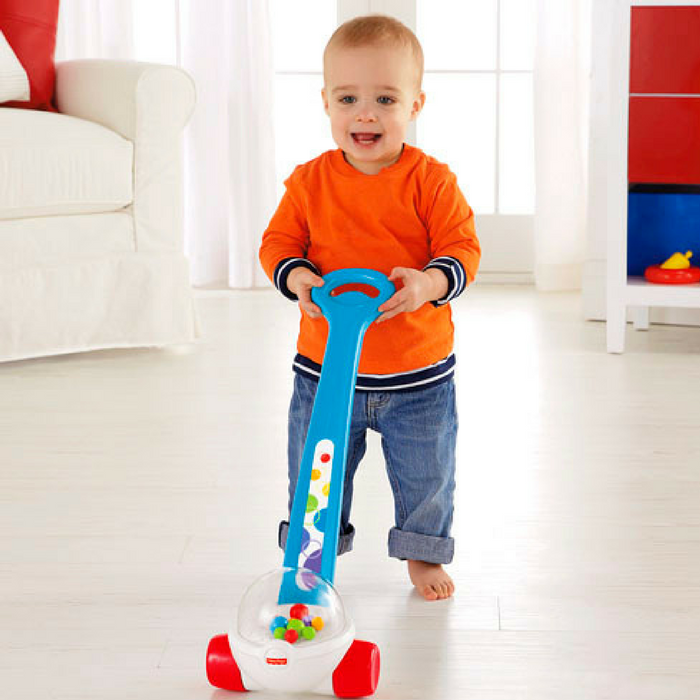 Fisher Price Corn Popper Push Toy Just $7.99! Down From $16! PLUS FREE Shipping! You are here: Home / Great Deals / Amazon Deals / Fisher Price Corn Popper Push Toy Just $7.99! Down From $16! PLUS FREE Shipping! For Prime Members only! Hurry over to Amazon to score the Fisher-Price Corn Popper Push Toy for just $7.99 down from $16.24 PLUS FREE shipping! The classic Fisher-Price Corn Popper push toy now sports a sleek new design. But it’s as much fun for baby as ever. The brightly colored balls excitedly pop around inside the clear dome as baby pushes the Corn Popper toy along. And the faster baby goes, the faster the poppity-pop action. Baby’s encouraged to keep moving for all the exciting ball-popping sounds and action—a fun way to give baby’s gross motor skills a push in the right direction. It makes a great Christmas present too! Baby’s actions make things happen – a great introduction to cause & effect!